Acer is introducing another new sleek and slim version of its Swift 7 laptop at IFA in Berlin today. While Acer launched a new Swift 7 earlier this year at CES, this latest model is less than 10mm thick and includes an edge-to-edge display. report says the latest swift version yet to be released may be the slimmest of laptops so far. The display is now 92 percent screen-to-body ratio, and overall the laptop weighs less than 2.2 pounds which makes the weight a lot more compatible for the body ratio. 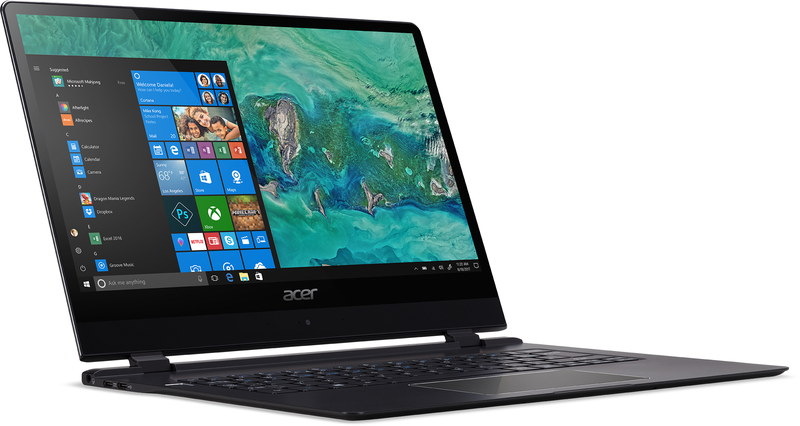 Acer is shipping this new Swift 7 with an 8th generation Intel Core i7 processor, and it’s claiming that it’s the world’s thinnest laptop. Acer is using the same size 14-inch display from the Swift 7 earlier this year, but the bezels have been heavily reduced to just 4.27mm and the overall size shrinks by 15 percent as a result. To keep the laptop light, Acer is using magnesium materials. It’s not immediately clear whether this laptop even ships with a webcam, or whether Acer has moved it to below the display or incorporated it into the keyboard somehow like Huawei’s Matebook X Pro. Acer has not yet revealed other specifications to be featured in the new swift version to be unveiled, neither the pricing, or a release date is stated either. Reliable sources has reached out to Acer for full details, and we will definitely keep you updated accordingly.